Minnie has been homed. 14/11/15. She was born on 23rd November 2012. 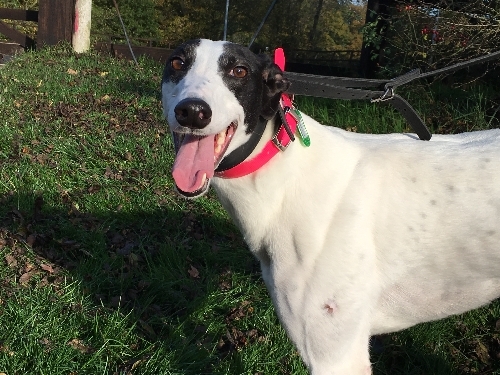 Minnie is a small, friendly, gentle, white and black, female. 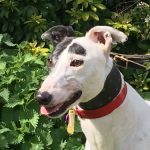 She enjoys her walks and will stand nicely while you put her lead on, she walks nicely next to you on her walk, enjoying all that she sees. 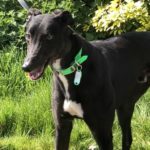 Minnie is currently not interested in toys and would prefer to have cuddles from a familiar person. She does have a habit of jumping up when excited so we are currently working on this with her. She enjoys her outings in the car but currently needs help to get into the vehicle. 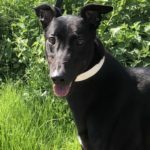 Being young Minnie would be best suited as a companion to another dog and, or to a family where somebody was around for most of the day. She would be able to live with children over the age of 10 years. 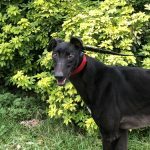 Minnie can be a quiet girl until she gets to know her new environment and will look to a friendly calm face for reassurance. 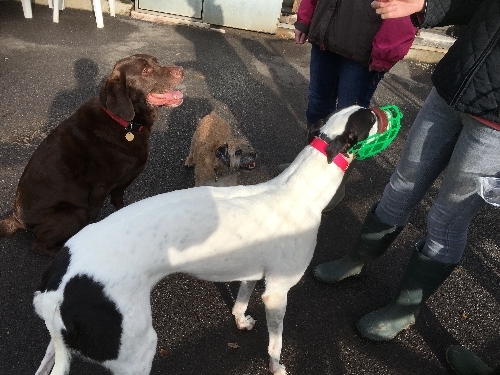 Minnie has been tested with other dogs and is very happy to be around them. 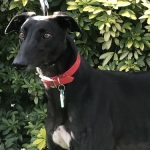 Minnie has passed her cat test and with continued training we feel she will be able to live safely with cats. She can walk on laminate, tiled and carpeted floors. Minnie is very happy to sleep in a crate. 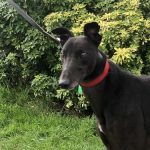 Minnie was a new arrival as of 30/10/15 as we get to know her better more information will be made available. 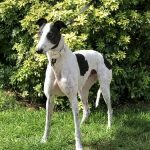 This entry was posted in Greyhounds Homed and tagged Featured, Fun, Homed, Loving, white and black by Lucy.